Following closely on the heels of last year’s exquisite Hot Coffey in the Big D – Burnin’ at Morey Baker’s Showplace Lounge, Omnivore delivers a second set from Motown guitarist Dennis Coffey’s 1968 residence at Morey Baker’s Detroit club. As with the previous release, Coffey plays guitar in a trio led by organist Lyman Woodard, and backed by drummer Melvin Davis. And as with the previous collection, the trio cooks with three burners on full blast. The set list mixes up originals (“Mindbender,” “Big City Lights” and “Union Station”) with covers selected from the catalogs of Wilson Pickett, the Beatles, the Meters, the Young Rascals, the Soulful Strings, the Isley Brothers and Charlie Parker. The inclusion of then-contemporary hit songs provides an entry point for the audience, but like a jazz outfit, the themes are mostly launching points for improvisation, including a fiery guitar-and-organ jam on “Eleanor Rigby” and extended riffing on the Meters’ “Cissy Strut.” Richard Evans’ “Burning Spear,” released by the Soulful Strings in 1967, is turned into a thirteen-minute inferno with a lengthy solo slot for Davis, and “It’s Your Thing” finds Coffey playing fuzz guitar, as he did two years later on “Ball of Confusion,” but with a harder fuzz tone in front of the combo. Coffey and Woodard are outstanding throughout, and Davis’ funky rolls, fills, backbeats and cymbals give the trio a deep rhythmic groove. Omnivore takes a fresh look at the San Francisco-based Latin-rock group Malo through the lens of their singles. 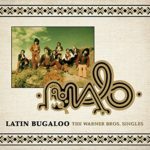 The band’s original run of 1970s albums (Malo, Dos, Evolution and Ascención) can be found in reissue, alongside live albums and best ofs, but the original single edits (courtesy of Malo’s producer, David Rubinson) have been harder to come by. The interest in these sides lays in the resonance they will have for those who first met Malo on the radio. The group’s first single, “Suavecito,” is presented here in the shortened 3:29 version that climbed to #18 on the Billboard Top 100. The longer album version, from the group’s self-titled debut, is certainly worth having, but may seem oddly long to those weaned on the single. The band’s mix of rock, soul, funk and Latin flavors were powered by a punchy rhythm section, tight horn charts, and the guitar playing of Jorge Santana and Abel Zarate. The tightly edited singles presented here elide intros, instrumental passages and lengthy jams that gave the albums flavor. 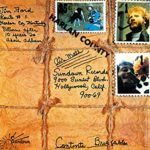 That said, the highly-charged arrangements of guitar, percussion and horns were the band’s calling card, and though not heard at album length on the singles, are still the focal point of many of these sides. Some of the tunes, such as “Cafe,” feel as if they were cut off just as the band was taking flight, while others were more artfully edited into shorter form. With Warner Archives’ Express Yourself no longer in print on CD, Varsese fills the vacancy with this sixteen track set. Included are the Los Angeles group’s three crossover hits (“Do Your Thing,” “Love Land” and “Express Yourself”), an additional selection of period material, and two new tracks (“Happiness” and “Remember That Thing”) that anticipate an upcoming album. 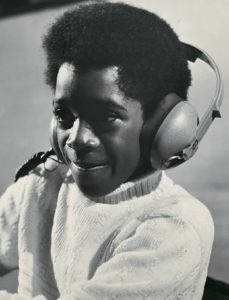 The Mississippi-born Wright moved to Los Angeles as a pre-teen, where he performed in a number of doo-wop bands before founding and growing what would become the Watts 103rd Street Rhythm Band. 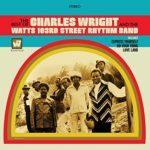 Wright was equally at home with hypnotic James Brown-styled riffing as with soul vocals, and the interlocking rhythm section of bassist Melvin Dunlop, drummer James Gadson and guitarist Al McKay, was equally adept with percussive funk riffs as they were with melodic tunes. 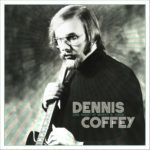 Guitarist Dennis Coffey may be most familiar from his 1971 instrumental hit “Scorpio” and its follow-up “Taurus.” But astute liner note readers will recognize Coffey as one of Motown’s Funk Brothers, and the player who introduced harder-edged guitar sounds into Norman Whitfield’s productions, including “Ball of Confusion” and “Psychedelic Shack.” Like many of his Motown colleagues, Coffey also played out live in Detroit clubs, and this 1968 date from Morey Baker’s Showplace Lounge finds him in a trio with Lyman Woodard on Hammond B3 and Melvin Davis on drums. The group played under Woodard’s name, but Coffey’s guitar took most of the leads. The group’s repertoire included soul, pop and jazz covers, as well as original material, the latter including Coffey’s opening showcase, “Fuzz.” The sounds encompass soul, rock, funk and jazz in equal parts, as Woodard vamped deep and low, Davis provided the groove, and Coffey took the lead lines. Coffey’s guitar is edgy even when he’s picking an upbeat take on the MOR classic “By the Time I Get to Phoenix” or playing slinky lines on “The Look of Love.” The band played from chord charts without rehearsal, fueling their performances with lively, jazz-styled improvisations. Herbie Hancock’s “Maiden Voyage” and Ramsey Lewis’ “Wade in the Water” remain close to their roots, but even here, the trio finds original ground to jam. Professionally recorded on a half-inch four-track (courtesy of the then-nearby Tera Shirma studio at which Coffey worked with his partner Mike Theodore), the tapes are a world away from the hobbyist recordings one often hears from club settings. The performances are lively, and the results were good enough to score the trio a contract, which resulted in 1969’s Hair and Thangs. Woodard continued on as music director for Martha Reeves and as a jazz leader, Coffey and Davis eventually found their studio gigs drying up and signed on to day jobs. 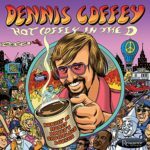 Now retired from the Ford Motor Company, Coffey is gigging weekly at the Northern Lights Lounge, and Davis has released albums on his own Rock Mill label. Though singer-songwriter Tim Buckley flourished in an era in which singles – and the radio exposure they attracted – often led albums onto the charts, he was never a singles artist. His label dutifully released singles from all nine of his albums, placing none of them on the charts, and, at best, only distracting free-form FM stations from the albums they were more likely to play. 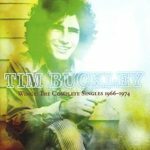 So unlike artists feted with collections of the original mono singles that listeners remember from the radio (see, for example, recent sets by The Turtles and Buck Owens), the motivation for a collection of Tim Buckley’s singles is more obscure. Which isn’t to suggest the music is less than magnificent, or the collection unworthy of your attention, but other than the previously anthologized “Once Upon a Time” and its previously unreleased B-side “Lady, Give Me Your Key,” most of these tracks are likely already in the collections of Tim Buckley fans. What the set does offer is a read on the label’s attempt to sell Buckley commercially, both in the US and UK, and a quick read of his nine year arc as a recording artist. It also provides rare mono single mixes for tracks 1-9, improved sound (courtesy of Michael Graves), and an interview with Buckley’s longtime collaborator, Larry Beckett. Founded in 1939 and turned into a professional group six years later, it took more than fifty years for these gospel legends to record a Christmas album. Released in 2003, the album was third in a string of four Grammy-winning albums in four years, including Spirit of the Century, Higher Ground and There Will Be a Light. The album includes guests leading every track but the first and last, ranging from soul singer Solomon Burke, singer-songwriters Tom Waits and Shelby Lynne, to jazz vocalist Les McCann and funkmaster George Clinton. The wide range of guests lends the album a lot of variety, though in a few spots, such as Chrissie Hynde and Richard Thompson’s “In the Bleak Midwinter,” it mostly obscures title group. There’s no losing sight of the group as they provide Aaron Neville an intricate a cappella backing for “Joy to the World,” provide harmony backing to Meshell Ndegeocello’s “Oh Come All Ye Faithful,” and add lively interplay to Mavis Staples’ “Born in Bethlehem.” One might lament how the cavalcade of guest stars cuts into the Blind Boys’ opportunities to sing lead, but the selection of guests and their interaction with the group and house band (John Medeski on keyboards, Duke Robillard on guitar, Danny Thompson on bass and Michael Jerome on drums) yields some nice moments. 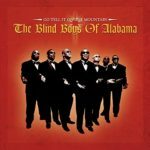 If you’re expecting a Blind Boys gospel Christmas album, you’ll be disappointed, but if you take this album as part of the group’s Grammy era artistic expansion, there’s much to like. Your should hope to have this much life force at the age of 82. 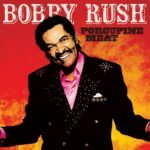 Sixty years into his career, and still logging more than two-hundred live dates each year, bluesman Bobby Rush sounds as vital as he did in his twenties. Born in Louisiana and musically schooled in Chicago clubs, he finally broke out as a solo artist in the early 1970s, adding soul and funk sounds to a blues base as he released a long string of albums and singles. This first release for Rounder teams him with producer Scott Billington and a slate of New Orleans musicians who double-down on Rush’s funky brand of the blue grooves. Rush’s voice is strong and his harmonica says as much as his lyrics. As an artist primarily known for albums and live performance, it’s hard to imagine anyone but the most ardent Dr. John record collectors being able to name more than two or three of his singles. “Right Place Wrong Time” comes easily to the mind of anyone who was around for its original run up the chart to #9. But other than that, what? Well, it turns out that several of Dr. John’s iconic album tracks – “Iko Iko” from 1972’s Gumbo and “Such a Night” from 1973’s In the Right Place – were also released as singles, though neither had the chart success of “Right Place Wrong Time.” So that’s three. 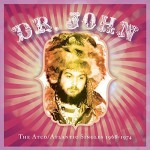 And yet, during Dr. John’s stay on Atco and Atlantic, he actually released a half-dozen more singles, all of which are collected here – A’s, B’s and alternate flips, along with several UK- and promo-only sides. One has to wonder who Atlantic thought was going to play these singles; particularly since they didn’t often differ greatly from the album cuts prefered by FM. “Iko Iko” was trimmed by a minute, “I Walk on Gilded Splinters” was trimmed and split into two parts, and “Wang Dang Doodle” was excised from the Mar Y Sol concert album, but the rest seem closely aligned with the albums. Of interest to collectors will be a few rarities offered here, highlighted by “The Patriotic Flag Waver.” On this 1968 single, presented in the long mono promo cut, Dr. John manages to combine a children’s chorus, “My Country ‘Tis of Thee,” “America the Beautiful,” social commentary and New Orleans funk. Even more rare is Dr. John’s guest appearance, alongside Eric Clapton, on the original 1972 single version of labelmate Buddy Guy’s “A Man of Many Words.